From the depths of ISIS’ self-proclaimed territory in Somalia, members of the terror group released a propaganda video, “Men Who Have Been True”, celebrating dead fighters and detailing the branch’s endeavors to provide food and medical aid to the community. Just last week, the Department of Justice announced that three naturalized U.S citizens originally from Kenya but living in Michigan had been arrested – one for embarking on his journey to join ISIS in Somalia and another two for acting as co-conspirators for the trip. 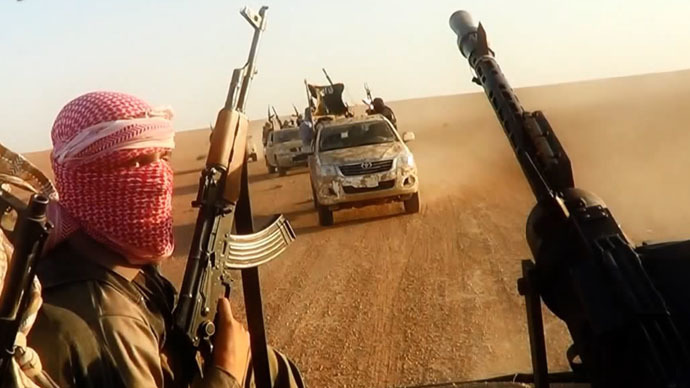 The complaint asserts that all three defendants pledged allegiance to ISIS through videos they recorded themselves, and at least two are alleged to have discussed with each other their desire to join ISIS, to kill non-believers, and even to potentially use a car for a martyrdom operation to run down non-believers in the United States if they could not travel overseas to fight for ISIS. But beyond just a homegrown threat, ISIS in Somalia is said to be burgeoning and over the course of 2018 “significantly expanded its operations” since claiming responsibility for its first attack in April 2016, at the height of the ISIS global reign. Until now, most of the focus in the country has been on countering al-Shabab, an Al Qaeda-linked terrorist group. According to data compiled by the Foundation for Defense of Democracies (FDD)’s Long War Journal, the jihadist group has claimed 106 attacks in Somalia since April 2016. In 2018 alone, ISS claimed 66 operations. “While this tally is less consequential than other areas in which the Islamic State operates, this number is more than the total number of claimed operations in Somalia in 2016 and 2017 combined,” the analysis revealed. ISIS mainly operates in Puntland and in southern Somalia but has been spreading its area of operations as well as its “type of operations” – relying less on typical improvised explosive devices and more on targeted “assassinations” using “hit squads,” the FDD analysis highlights. The analysis points to the prospect of even more instability as ISIS “continues to encroach on Shabab territory,” igniting more internal conflict and bloodshed. Earlier this year, the U.S announced its deadliest airstrike in Somalia in months, although it was against Al Qaeda targets rather than ISIS. It allegedly killed 52 extremists who mounted an attack on Somali soldiers, but a spokesperson for U.S Africa Command has since said the Department of Defense will no longer release details pertaining to death counts in Somalia. The United States has significantly increased the number of airstrikes against al-Shabab in the country since Donald Trump took office two years ago in the quest to eliminate safe havens and has struck the ISIS-affiliated group too, but experts contend that more focus needs to be on the latter threat. “Both factions pose a massive threat to the U.S. presence in Somalia, in the region and across the borders. Both consider the US and its Western partners as their primary enemy,” he said. Nonetheless, Roggio concurred that the threat is far from limited to the country of origin.